Hawaii bans sunscreen ingredient oxybenzone after a group of researchers from the United State and Israel discovers coral bleaching. A new piece of legislation signed into law by Dave Ige will ban sunscreen from use in Hawaii if it contains oxybenzone. 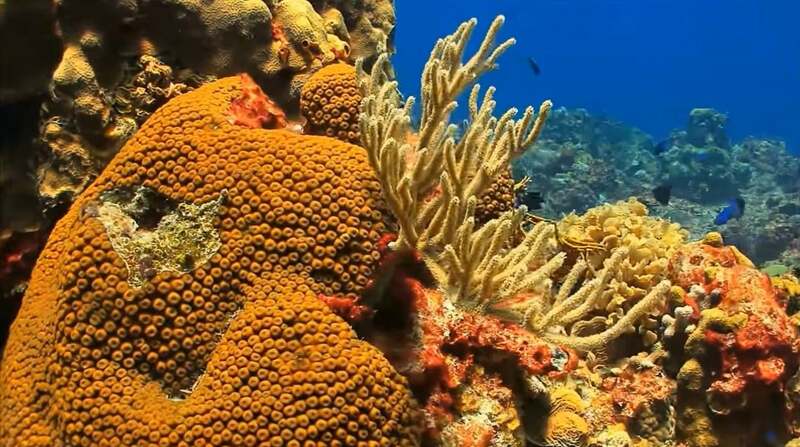 Just one drop of sunscreen containing the material may cause coral to fade – driving home how dangerous the substance is for organisms that are already being threatened. After the passing of the Hawaii bill, the European Union is already taking steps to ban oxybenzone from sunscreen themselves – and the recent signing may help the legislation gain traction. Oxybenzone, also known as BP-3, is used in more than 3500 personal care products that are being sold worldwide in order to protect from damage from UV light. While it may be good for the health of our skin, it may have damaging effects on coral – making the use of the substance a net loss for our environment. Researchers clearly feel that the benefits the oxybenzone in sunscreen gives to humanity don’t outweigh the damage to coral, and there are other ways in order to protect our skin that don’t have the same environmental repercussions. The Israeli-U.S. survey results were actually first published back in October 2015, but weren’t used to motivate legislation in Hawaii until recently. The research was published in the “Environmental Pollution and Toxicology Archive” and shows that oxybenzone from swimmer skin, municipal sewage discharge and coastal septic tank systems can contaminate coral reefs. While oxybenzone may continue to be an issue from sewage discharge and septic tanks, the reduction of use on swimmer’s skins may help the coral reefs around Hawaii and around the rest of the world if areas like the European Union are to follow suit with their own version of the legislation. “We have found that oxybenzone causes severe morphological abnormalities, DNA damage and endocrine disruptions that lead to coral closure and death,” said researchers Ariel Kushmaro and Stella Goldstein-Goren at the Environmental Biotechnology Laboratory at the Ben Grevien University in Avgaff. Department of Bioengineering. Kushmaro added: “We are pleased to see that our study will have a measurable impact on the reduction of coral reef communities caused by chemicals, waste runoff and climate change,” reports Israel21C. Around 14000 tons of sunscreen lotion is discharged into coral reefs every year – the majority of which contains between 1-10% oxybenzone. This is a major problem for bleaching, and hopefully the passage of this bill will help address the issue and help delay the destruction of these vibrant ecosystems. With the authors estimating that at least 10% of global coral reefs are at high risk this year, it’s clear that action is needed. The study found that the concentration of oxybenzone observed in seawater surrounding the coral reefs were as low as 62 parts per million, which is equivalent to a single drop of water in six semi-Olympic swimming pools. It’s clear that the compound in sunscreen is terribly damaging for the coral reefs around Hawaii – even in very small amounts. Because of the extreme damage, the legislation to ban oxybenzone from sunscreen in the area completely was likely necessary. While we may not see a ban around the world due to oxybenzone’s usefulness against UV light and the concentrations of coral reef in certain areas, it’s good that it’s at least going into effect in Hawaii. Kushmaro said: “In Israel, sunscreens using benzophenone chemicals are widely used. “According to the measurements not included in the study, similar concentrations of benzophenone were found near the coral reef in Eilat. Further information can be found in the Environmental Pollution and Toxicology Archive.